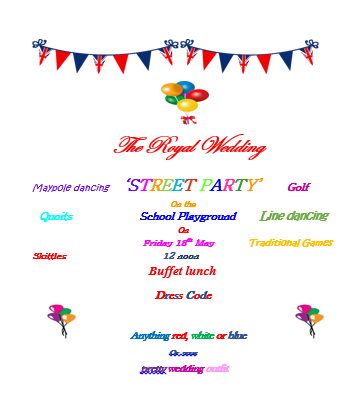 Please look out for your invitation to our Royal Wedding Celebrations on Friday 18th May. We will be having a golf tournament in the morning, followed by a street party, traditional games and dancing. All contributions to food are welcomed. We will also be purchasing our own platters of food from Farm Kitchen.